On large and very expensive ocean going yachts many of the operations are fully automated. Our customer is a British company that specializes in supplying hydraulic systems for this market. 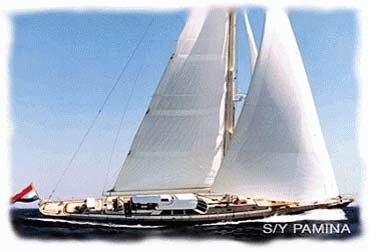 One of their most recent applications was a system for "laying away" the sails after a days sailing. The TLI was fitted inside a hydraulic cylinder to measure its extension. The cylinder is used to raise and lower the boom to which the main sail is attached. The space available to pack the sail away is very limited so if the whole process is to be automated then precise positioning of the boom is required.